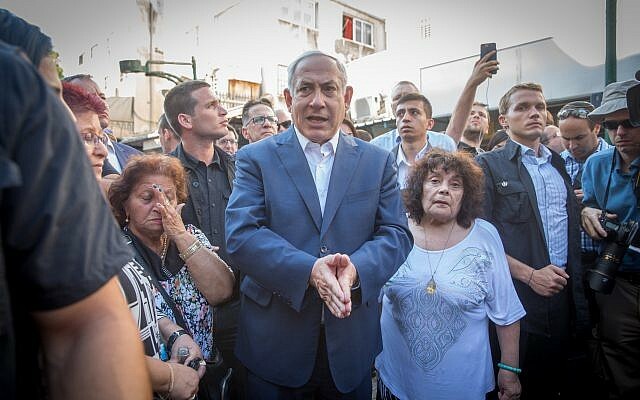 Prime Minister Benjamin Netanyahu on Thursday toured south Tel Aviv, an area that has seen a large influx of illegal African migrants in recent years, and vowed that the government will “give back” the neighborhood to its Israeli residents. 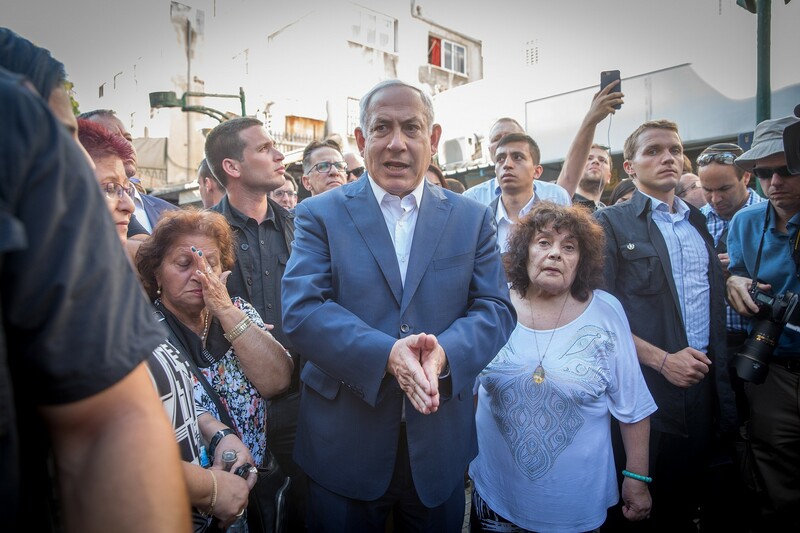 Netanyahu, who announced his intention to establish a ministerial committee to deal with the issue, was accompanied by Public Security Minister Gilad Erdan and Culture Minister Miri Regev. The show of ministerial force came after the Supreme Court ruled Monday that the government could continue with its controversial practice of deporting undocumented migrants to an unnamed third country, but said the government cannot jail those who refuse to go for more than 60 days. “They are infiltrators,” she continued of the largely Sudanese and Eritrean migrants. “The residents of south Tel Aviv are the ones who became refugees in their own country,” she said. Regev called on the government to circumvent this week’s Supreme Court ruling through Knesset legislation. Netanyahu has said the government will take a three-pronged approach to the problem. Measures are a security fence along the border with Egypt which has already succeeded in significantly reducing the number of migrants who cross into Israel from African countries, increased enforcement against those employ illegal migrants and migrants who break the law, and the ministerial committee that the prime minister said he will lead himself. Residents applauded his comments and chanted slogans against the Supreme Court. Many local residents have protested the asylum-seekers, who they claim engage in crime, and have accused the government of “abandoning” them. Netanyahu and Erdan also opened a new building for a police foot patrol in south Tel Aviv that will serve some 50 policemen. Expulsion to a third country is largely unprecedented in the Western world. Italy and Australia signed similar agreements with third-party countries — Italy with Libya, and Australia with Malaysia — but both proposals were shot down by local courts. In both cases, courts ruled the bills inconsistent with international law and the 1951 UN convention on refugees — to which Israel is also a party. However, the Supreme Court also ruled that since the deportations may only be carried out with the agreement of the migrants, refusal to leave Israel cannot be considered uncooperative behavior. And Israel may not imprison migrants who refuse to leave for more than 60 days. According to the African Refugee Development Center, there are approximately 46,437 Africans in Israel who consider themselves asylum seekers. The majority, 73 percent, are from Eritrea, and approximately 19% are from Sudan.